WARNING: GRAPHIC MEDICAL PHOTOS. DO NOT SCAN BELOW THIS PAGE IF YOU CAN’T HANDLE MEDICAL PHOTOS. This was not the way to start out this day. 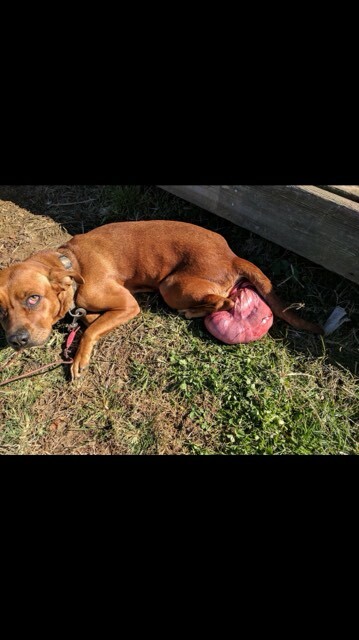 We got a call begging for help for a dog with a severely prolapsed uterus. We see this a couple of times a year and it looks gross, but it doesn’t typically scare us. In this particular case, the situation was much worse than expected. Unfortunately, she is also pregnant and the puppies died in utero before she got to us. 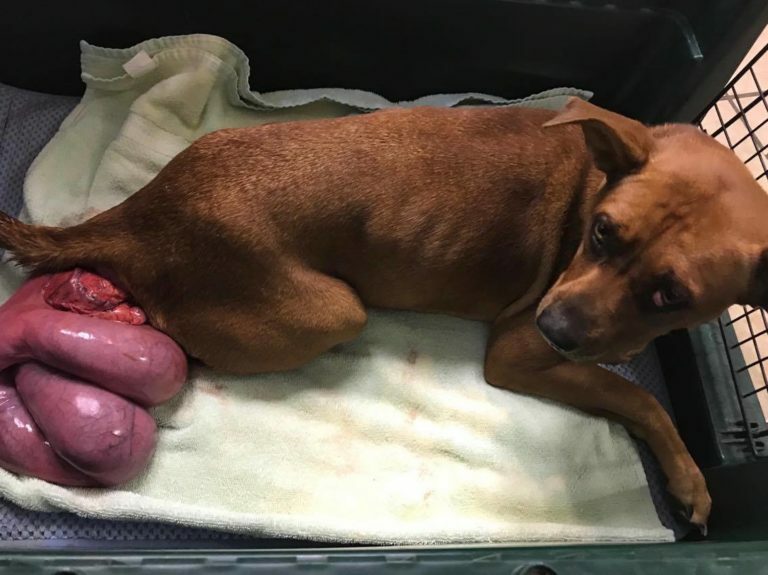 This case is about saving the dog’s life and we will be fortunate to do that. 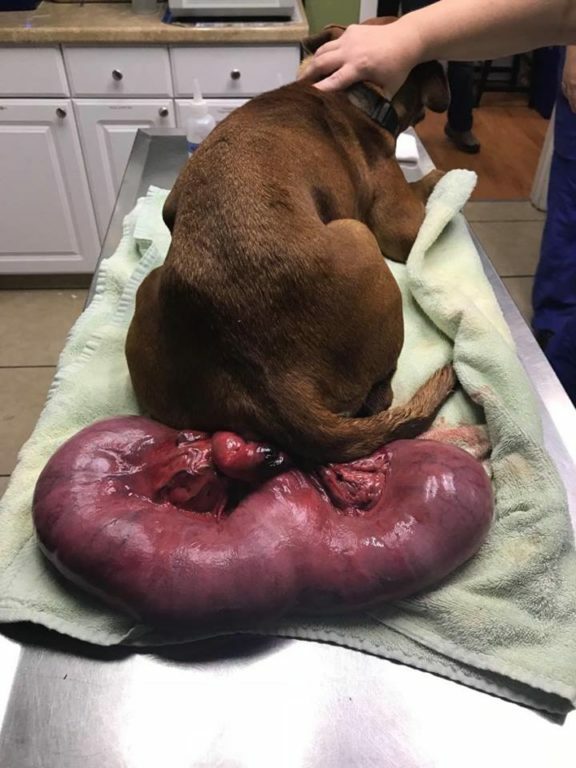 What you see here is the uterus and her bladder which was also prolapsed out of her body. The police are pursuing this case. 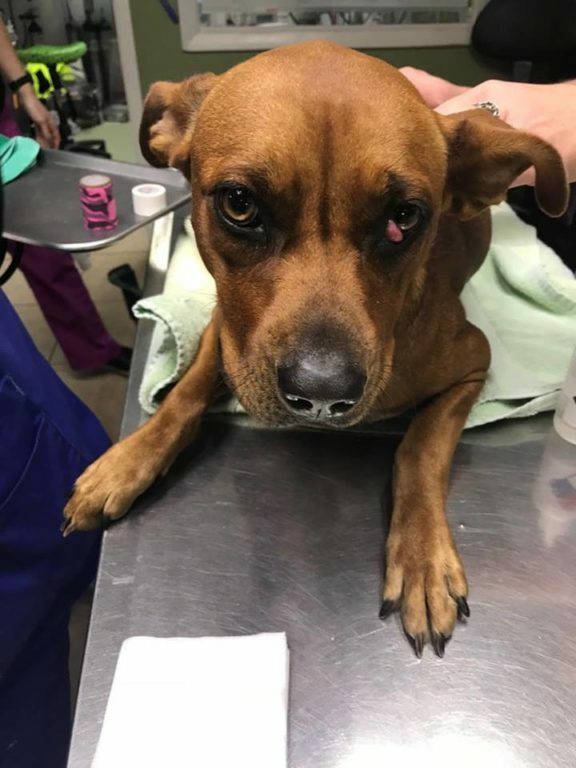 This poor girl is also emaciated, needs teeth pulled (her baby teeth are still there) and when she is better, we will repair the cherry eye she has. Despite all of this and the incredible pain she was in, she never once offered to so much as curl a lip.